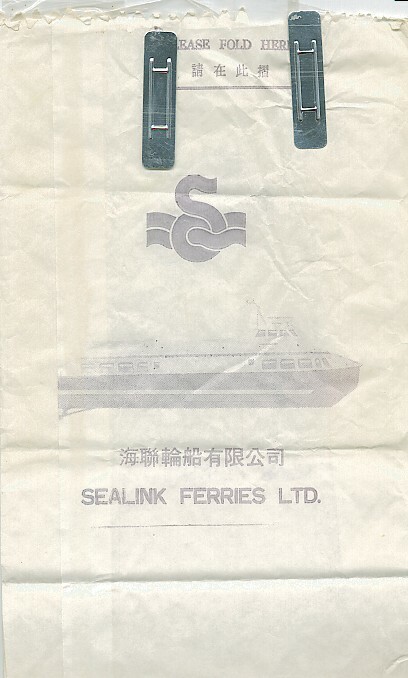 This is the only Sealink bag I have that says "British" on it. 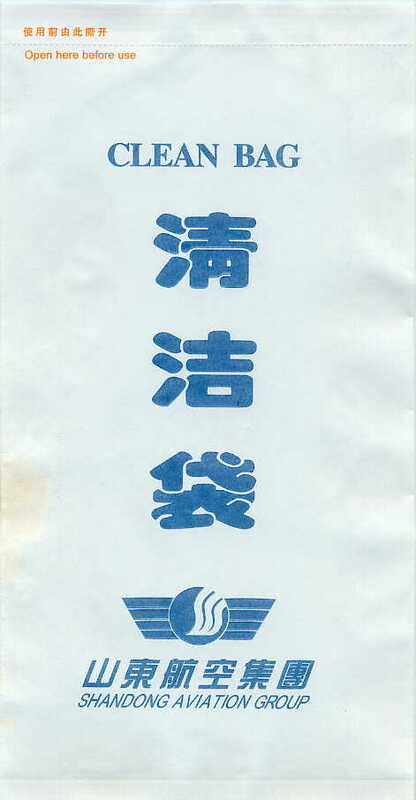 It also has a weird logo: Either it's an Omega or it shows the indirect route their ferries go to reach their destinations. Excellent older bag with unique metal closing mechanism. 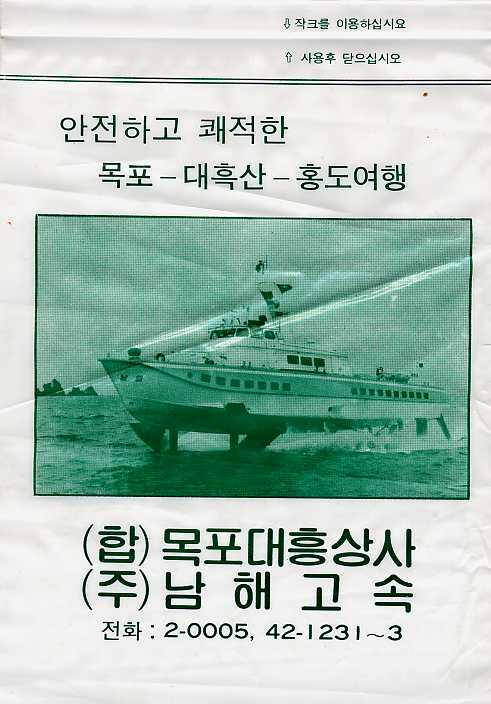 Like Mokpo, shows a picture of the vessel it's used on. Watch it, it's coming right towards you! Head-on ship perspective looks like a fancy wine cork. And does Dieppe mean Deep? 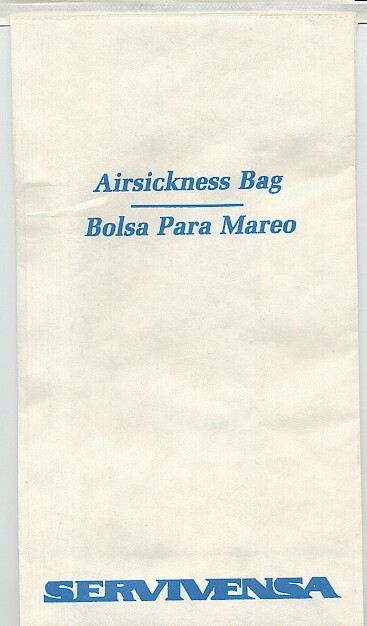 If the picture of the ship on this bag is any indication, apparently this company ferries people around in oil tankers. I cannot for the life of me tell you what SNCF might stand for. Sickness Needs Come First? So, no coffee filters? 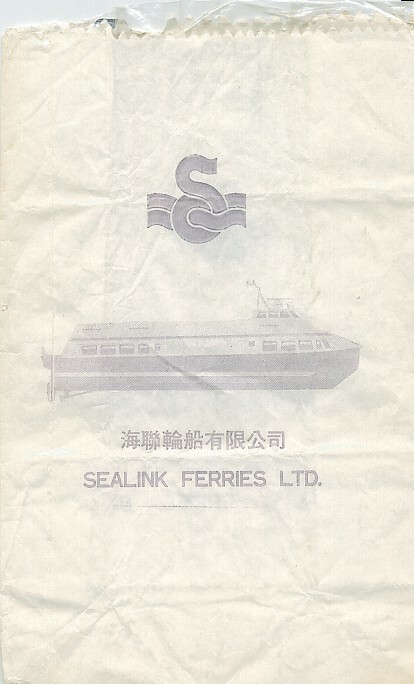 Sealink Never Crusies Fast? 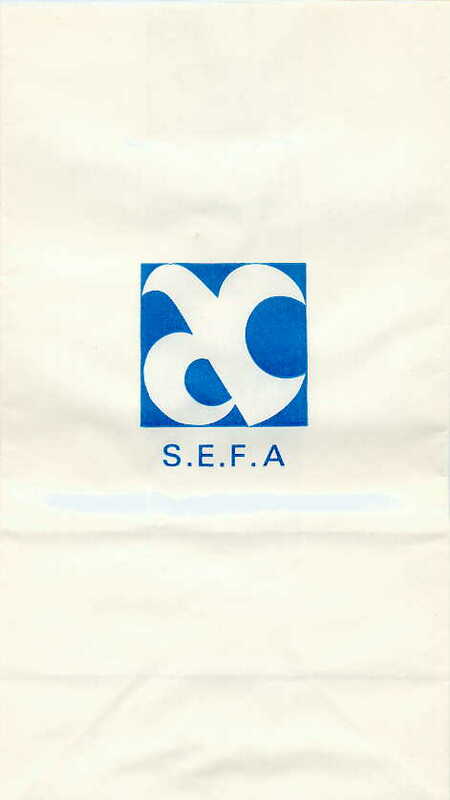 According to Arnaud, SEFA stands for Service d"Exploitation de la Formation Aeronautique. It is a French Government training school where civil aviation airline pilots are trained. Only 50 people per year are accepted into the program. 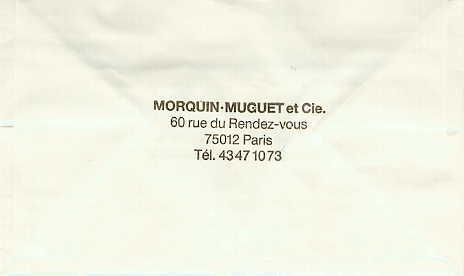 Arnaud says, "These bags were printed in the 80's (by the format of the phone number) ... As these bag aren't produced anymore (1 production was done) they tend to be rare to find." 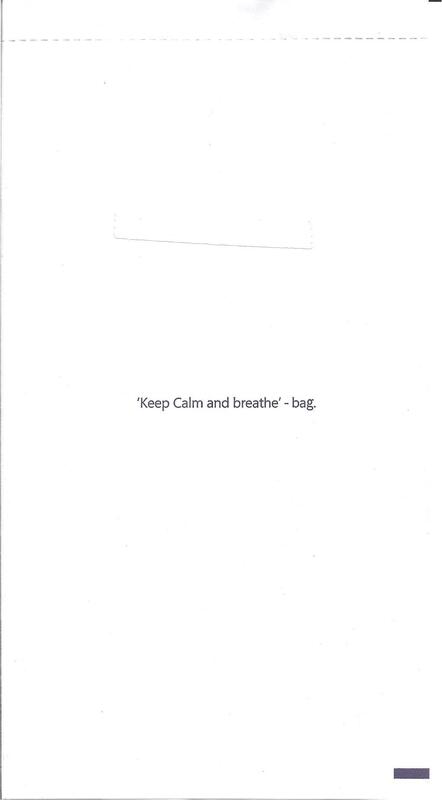 Small and rather plain bag. 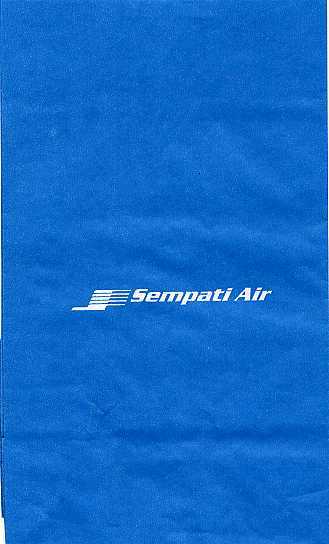 Has the give-away magic words on the back "Lipat disini", common on most Indonesian Airlines (such as Merpati and Garuda). If you look too quickly, the airline name looks like 'Serv Mensa', as if they only fly around those creepy losers from the high IQ society. I like to think that the airline is really named "Stevenair" and that they left out a letter. 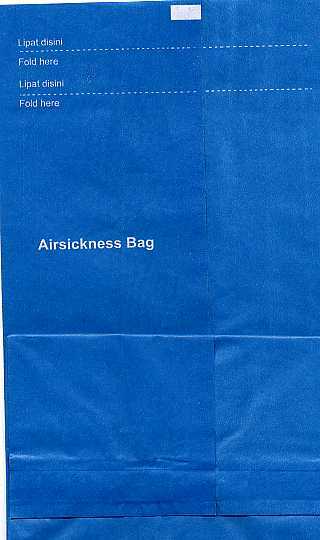 The bag itself follows the unwritten universal rule that if the number 7 is in your name, you MUST write it out as a number, much like 7-Eleven and 7-Up. 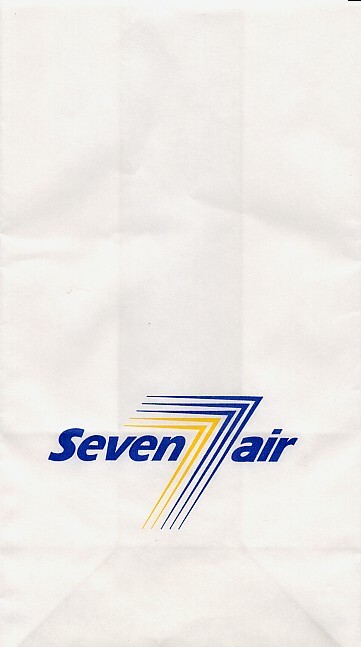 Seven Air unveils its enigmatic dendrite logo. Now the most important thing about this bag is the instruction "Open here before use". I think it would be pretty messy if you opened the bag AFTER use. 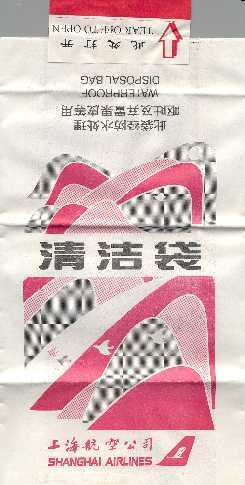 The 3rd Chinese character looks a lot like a Rorsach test. 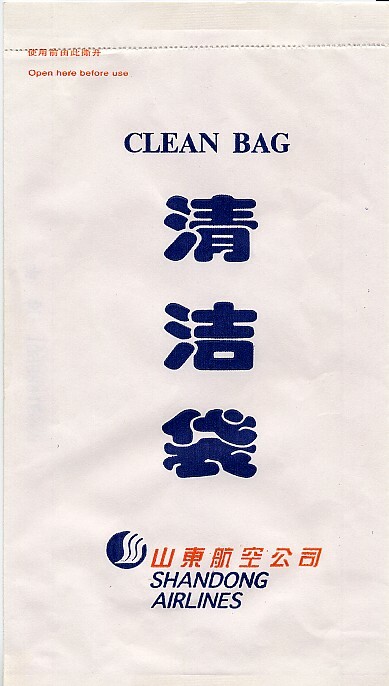 YL Tan, a wealth of bag info, claims the 3rd character just says "bag". I wonder what a psychiatrist would say about that! I see a happy puppy dog facing right with a fat, disfigured tail. This bag tells you to "Open here before use", which I think is much better than opening the bag after use. Nice addition of yellow Chinese to the bag, plus blocky blue like a flag at half mast. 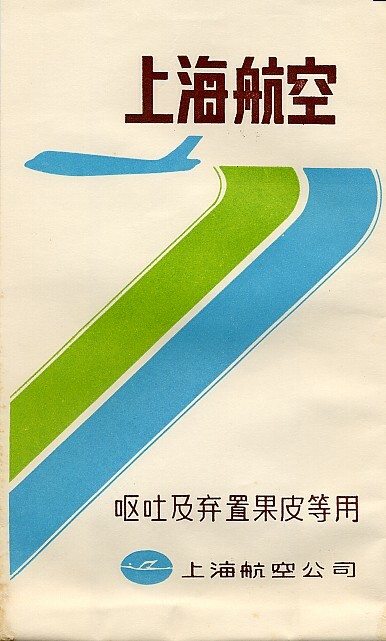 This airline probably held a logo contest that was won by the CEO's 4 year old child, who submitted a blue oval with a scribble in it. 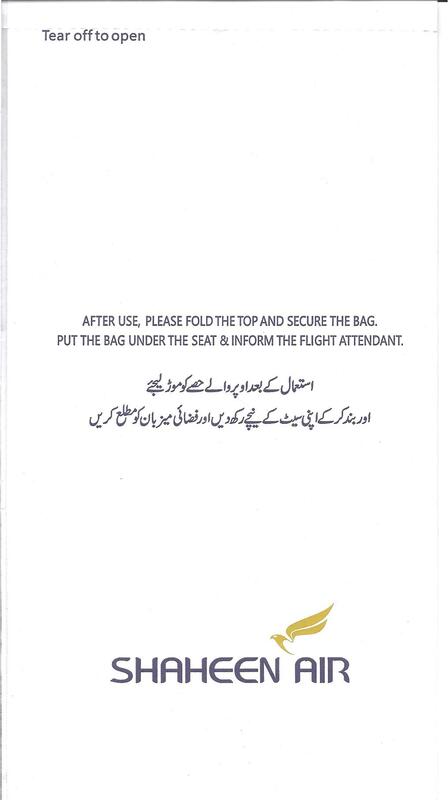 Instructions to pilot: When you get to the top of the bag, take a HARD LEFT! Cool maroon on white art deco bag with abstract particle physics-like diagrams on it. The color of the soaring doves gives you the feeling that you're looking at a CGA screen. Shanghai joined the Star Alliance, an oppressive organization that requires all members to change their barf bags in order to mention that they now belong. Shanghai joined the Star Alliance, an oppressive organization that requires all members to change their barf bags in order to mention that they now belong. 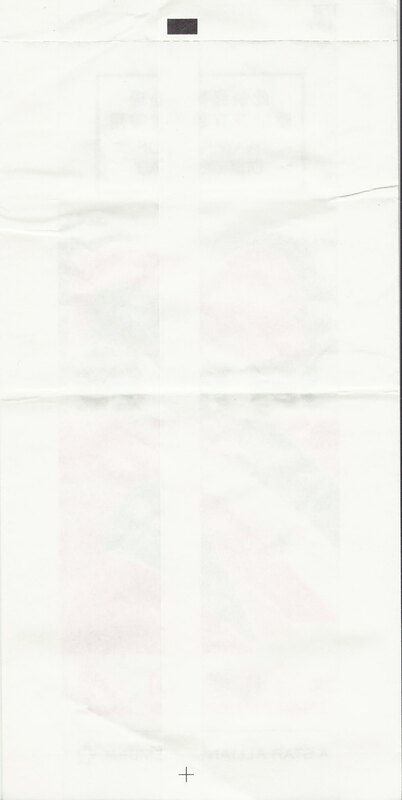 Identical to the other 2010 bag EXCEPT there is now a plus sign on the back of the bag. 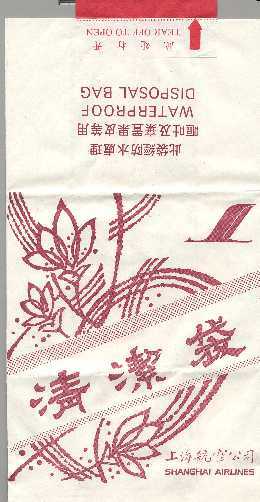 Same as prior bags except they changed the tear strip mechanism.